We are looking for volunteers seamstresses to assist us in creating our up-cycled goods, aprons grocery bags and tote bags. We would also like volunteers to work the Farmers Markets and Artisans markets. We are a lovely group of women looking to expand out team. Karis Support Society is a non-profit organization that provides recovery-focused counselling, programming and support to women, and women with babies or children within a supportive home environment. Our participants are women whose experiences of trauma, abuse, crisis or overwhelming stress have led to substance abuse or mental health challenges which have negatively impacted their lives and they are now actively working on personal recovery. Artsy Phartsy has beautiful and fun handmade aprons for sale on our on-line store. 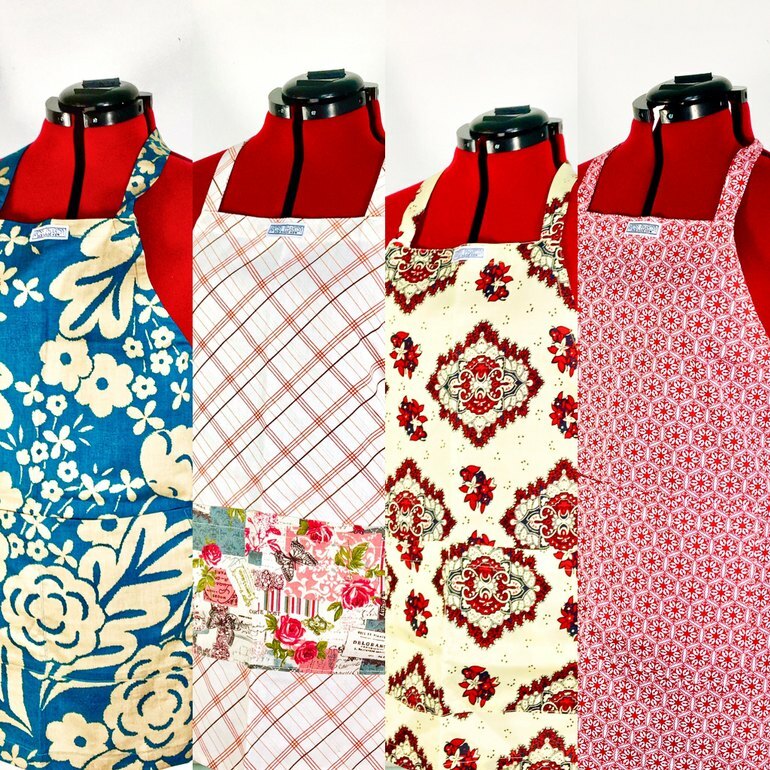 Each apron represents a particular quality needed for the recovery journey. Give a gift to a friend or family member that supports women in recovery and our environment. Artsy Pharsty has officially launched our on-line store. You can now purchase our funky up-cycled aprons, grocery and totes bags in the comfort of your home. You can feel good about every purchase as it supports our environment and women in recovery, while at the same time provides you with something beautiful. 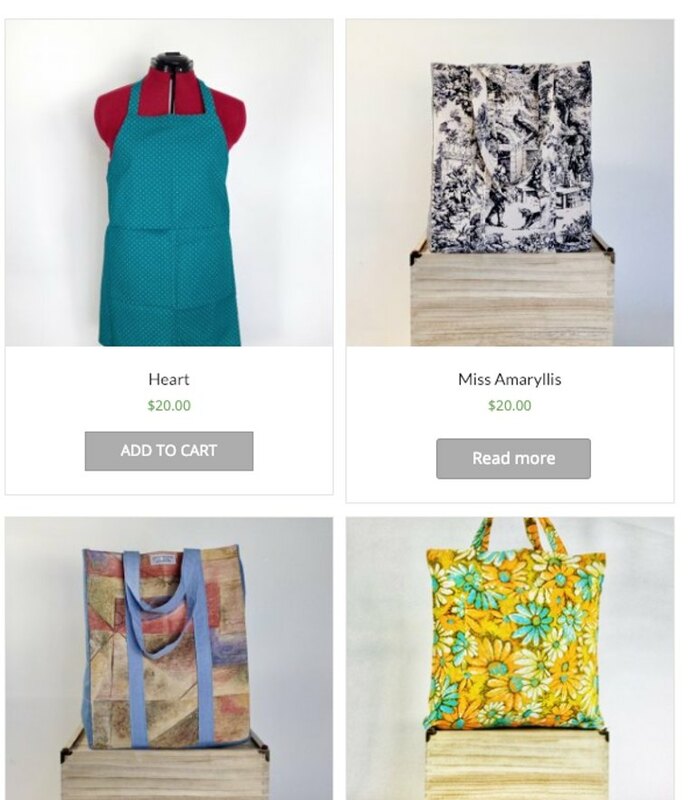 You can support women in recovery as well as protect our environment by purchasing a multi-use cloth grocery bag from Artsy Phartsy. Our products can be found at One Big Table, Urban Harvest and Sunshine Market. Our on-line ecommerce store will be coming soon at the end of January for easy purchasing. Artsy Phartsy/ Karis Support Society. REMEMBER ... you have to REGISTER first and then VOTE! You have 10 votes so use them to support Women in Recovery in our community! One more ask would be to SHARE this email or post to encourage your friends and families to vote too.